Earn you 62 reward points. 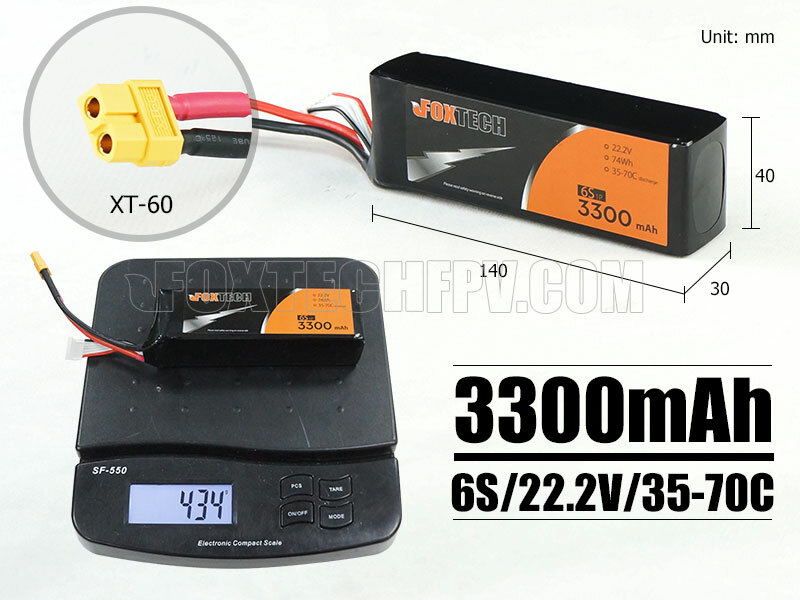 Foxtech 22.2V 6S 3300mAh high discharge lipo battery weighs 434g, and has 35C continuous discharge current. This battery is suitable for all RC models. This 6S 3300mAh battery also can be used as the onboard lipo battery of GAIA 160-Hybrid to offer emergency back-up power for quick climbing and quick maneuvering.